“Coming from Orange County we have a challenging physical location. Industrial space is very expensive, and we needed a system that could handle some decently tight sweeps, that could actually carry the grain a far amount of distance, and could be installed fairly quickly,” says Jim Mellem, Director of Operations for The Bruery located in Orange County, California. In order to solve these challenges, The Bruery integrated Cablevey’s grain conveyor systems which has a flexible design and is well-suited for shuttling all types of brewery materials, including grain and mash. The conveyors can be configured to meet the needs of any part of the production process. Engineered to move both wet and dry grains, the conveyors utilize cable and discs to gently and reliably move materials along their transportation paths. The system is designed to run on a low horsepower motor using less energy than competing conveyors, making it more cost-effective in the long-run. 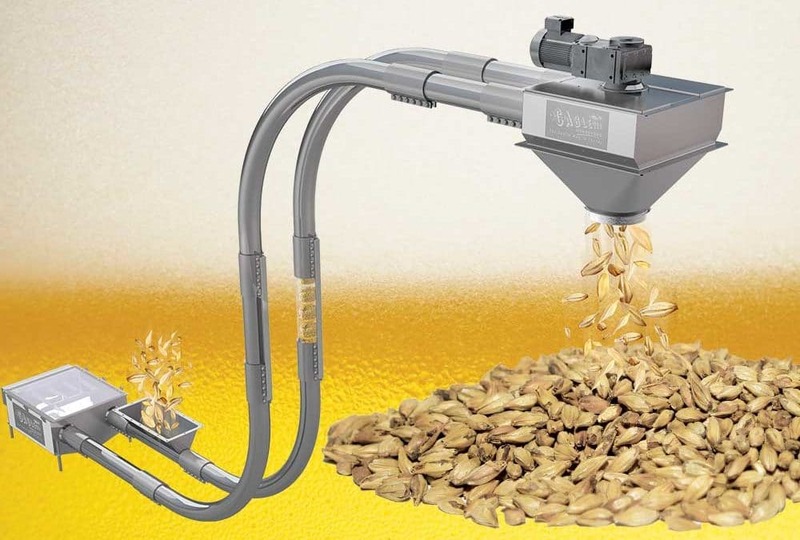 Breweries looking to scale operations to meet demand are discovering that they have a confusing array of not-really-suited-for-long-term options for expanding their production apparatus – starting with screw augers that compromise the quality of their grain. Enclosed tubular cable and disc conveyors offer a scalable, and efficient conveying system, for safely moving materials within their unique production environments. Cablevey Conveyors is a member of the Brewers Association. We understand the unique needs of this specialized industry. Our conveying solutions for barley, rye, and other specialty grains, have assisted in the growth of the booming U.S. craft beer market. To learn more about how the Cablevey grain conveyor system is utilized on a brewery floor, check out the videos at https://cablevey.com/tube-conveyor-uses/grain-conveyor-system/grain-conveyor/ today!